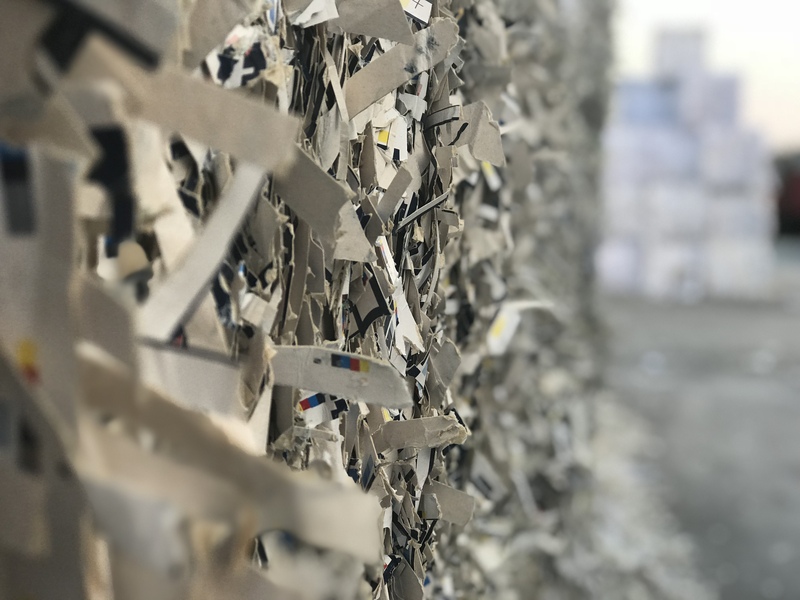 You are here: Home / news / Why do we recycle paper? Producing one ton of paper from pure cellulose means cutting down 15 trees. In the cellulose working phase, water consumption reaches 440.000 litres of water and 7500 kW of electricity. For these reasons recycling paper means reducing the carbon footprints and consequently production costs. Our production aims to reduce drastically water consumption, energy consumption and CO2 emissions into the air. Thanks to recycling, new materials such as “ecoallene”, “cartalatte” and “cartafrutta” have been created. In Italy, 30% of wastes is composed by paper and board. This percentage reveals a great resource for Italian paper mills that use recycled paper. We believe in the power of being a productive company that respects our land and practices special care for the environment. This is the real and precious heritage we will leave for future generations. http://www.cartieragiorgione.com/wp-content/uploads/2017/11/Cartiera-Giorgine_Logo-2.png 0 0 assistenza http://www.cartieragiorgione.com/wp-content/uploads/2017/11/Cartiera-Giorgine_Logo-2.png assistenza2018-01-09 10:34:202018-01-10 11:55:47Why do we recycle paper?